3) Accurate and timely financial, legal and contractual management. This WP is lead by Fondazione PENTA ONLUS, with Servizo Galego De Saude co-leading. 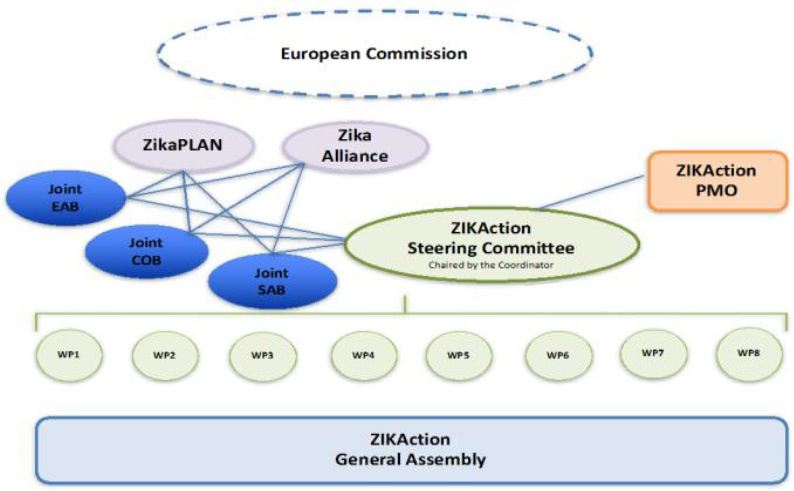 The figure below shows the ZIKAction project management office in relation to the other governing bodies. Quality assurance will be a key activity in this WP, with a focus on fulfilling all project goals, objectives, deliverables and milestones in a timely and efficacious manner.